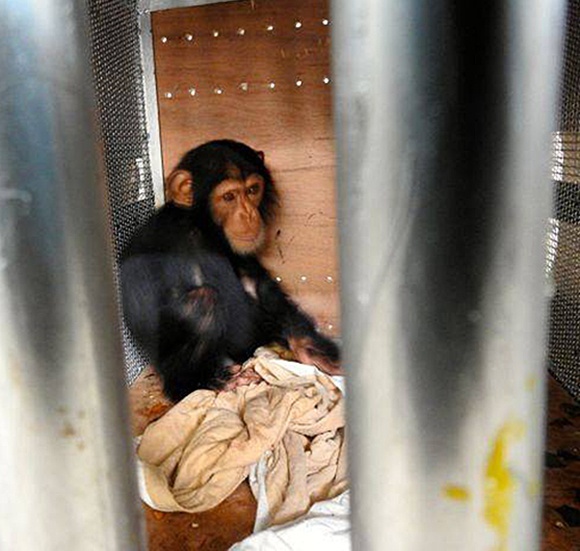 After experiencing severe trauma, two little chimpanzees needed care and protection. But, they were completely alone. Bo’s family was brutally slaughtered for the bushmeat trade. Too small to be sold for meat herself, poachers planned to illegally sell Bo as a pet. 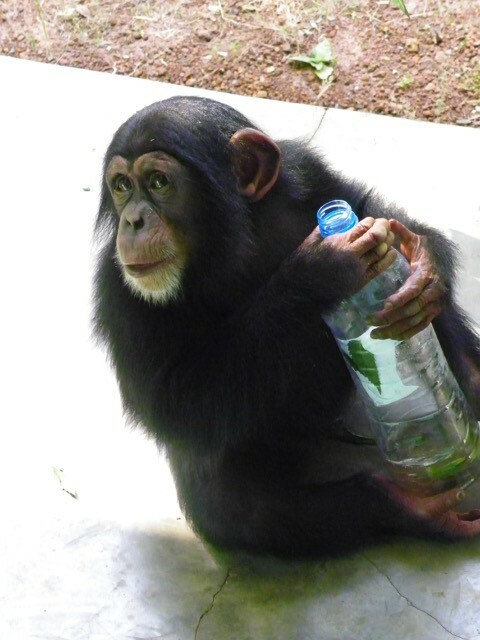 Law enforcement in Guinea-Bissau was able to rescue her just in time, but there was no nearby chimpanzee sanctuary where she could go. Instead, Bo was left in the national park office all by herself. You can stop the cruelty! Please donate now to save the next animal like Fatou and bring her to a sanctuary. 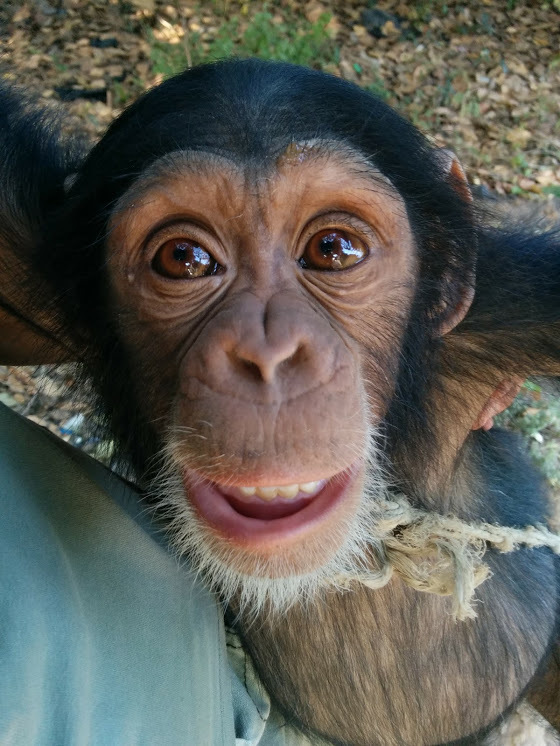 Soon after finding Bo, officials found Bella – another tiny orphan who had witnessed her family’s death. Alone and confused, Bella was taken to the same park office and tied to a tree, unable to move comfortably. Bo and Bella lived like this for over a year. When the PASA community learned about Bo and Bella, they jumped into action to orchestrate the rescue of these two desperate chimpanzees. 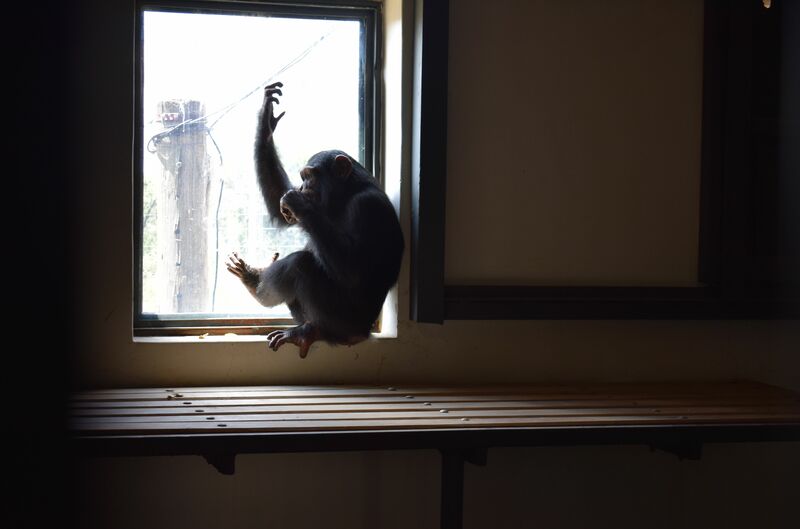 After months of planning, Bo and Bella were finally brought to their new home at Sweetwaters Chimpanzee Sanctuary in Kenya. No longer alone, Bo and Bella are free to live the lives all primates deserve – happy, healthy, and full of possibilities. Bo and Bella’s journey to freedom was possible because of supporters like you. Tragically, there are countless more animals that are frantic to be rescued from cruelty and darkness. Will you help give them a second chance at life?